Maryland wants to see end of PARCC tests, but what’s next? 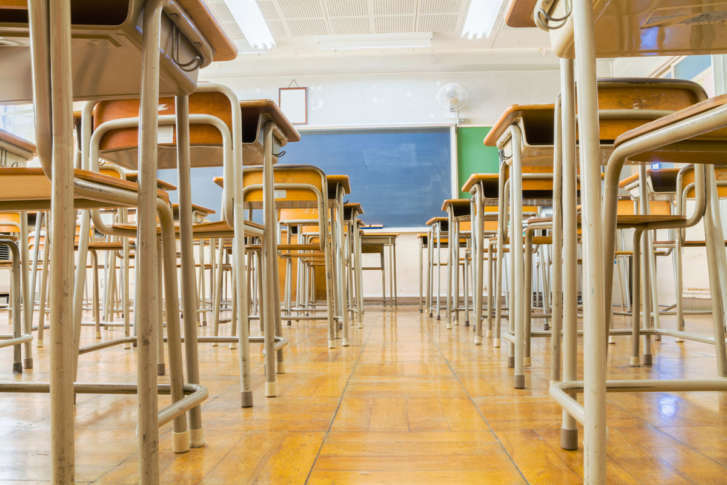 "We never want to see another one of these PARCC exams — ever," Maryland Gov. Larry Hogan recently told reporters. He said the tests won't be given after next year, and that the state's department of education is working on new standardized tests. WASHINGTON — Students and some teachers may not like Maryland’s PARCC exams — those standardized tests that are supposed to measure college and career readiness — but Gov. Larry Hogan really dislikes like them. “We never want to see another one of these PARCC exams — ever,” he told reporters Tuesday. Hogan said the tests won’t be given after next year, and that the Maryland State Department of Education is working on new standardized tests that would be administered in the 2020-2021 academic year. Leudtke added that he looks forward to seeing what tests are being developed. “Hopefully, they’re a step forward,” he said. The latest results from the PARCC tests showed that among students in third to eighth grades, only 31 percent passed the math test and just 41 percent passed the English exam. A number of states have abandoned the PARCC exams, which are administered on computers, although a pencil and paper exam has been made available to schools without the technology to allow for computerized testing. But, Maryland will administer the PARCC tests one last time, in the 2019-2020 school year, before administering its own exams, now currently being drafted. On the same day that the most recent PARCC scores were released, the state board met to discuss the work being done, with a summary of bullet points that outlined what will change and what will remain. The new tests will be shorter in duration than the PARCC exams, but the state standards will remain the same.